The competition experiments were carried out in duplicate with 10 concentrations of the inhibitor. The biotinylated peptide substrate was added at 2 μM in an assay buffer containing 6 milliunits of recombinant human GSK3, 12 mM MOPS, pH 7.0, 0.3 mM EDTA, 0.01% β-mercaptoethanol, 0.004% Brij 35, 0.5% glycerol, and 0.5 μg of bovine serum albumin/25 μl and preincubated. The reaction was initiated by the addition of 0.04 μCi of [-33P]ATP and unlabeled ATP in 50 mM Mg(Ac)2 to a final concentration of 1 μM ATP and assay volume of 25 μl. After incubation for 20 min at room temperature, each reaction was terminated by the addition of 25 μl of stop solution containing 5 mM EDTA, 50 μM ATP, 0.1% Triton X-100, and 0.25 mg of streptavidin-coated SPA beads corresponding to 35 pmol of binding capacity. The solubility of this compound in DMSO is >15.4 mg/mL. General tips for obtaining a higher concentration: Please warm the tube at 37℃ for 10 minutes and/or shake it in the ultrasonic bath for a while. Stock solution can be stored below -20℃ for several months. AR-A014418 could inhibit the tau phosphorylation at a GSK3-specific site in cells that were stably expressing human four-repeat tau protein. AR-A014418 could also protect N2A neuroblastoma cells against cell death, which was mediated through inhibition of the phosphatidylinositol 3-kinase/protein kinase B survival pathway. The subacute intraperitoneal injections of AR-A014418 reduced immobility time in rats exposed to the forced swim test, a well-established model for antidepressant efficacy. In addition, the specificity of this effect was supported by the finding that AR-A014418 could decrease both spontaneous and amphetamine-induced activity. Bhat R, Xue Y, Berg S, Hellberg S, Orm M, Nilsson Y, Radester AC, Jerning E, Markgren PO, Borgegrd T, Nylf M, Giménez-Cassina A, Hernández F, Lucas JJ, Díaz-Nido J, Avila J. Structural insights and biological effects of glycogen synthase kinase 3-specific inhibitor AR-A014418. J Biol Chem. 2003;278(46):45937-45. Gould TD, Einat H, Bhat R, Manji HK. AR-A014418, a selective GSK-3 inhibitor, produces antidepressant-like effects in the forced swim test. Int J Neuropsychopharmacol. 2004;7(4):387-90. 1. Towards the preparation of radiolabeled 1-aryl-3-benzyl ureas: Radiosynthesis of [(11)C-carbonyl] AR-A014418 by [(11)C]CO(2) fixation. Bioorg Med Chem Lett. 2012 Mar 1;22(5):2099-101. doi: 10.1016/j.bmcl.2011.12.139. Epub 2012 Jan 10. 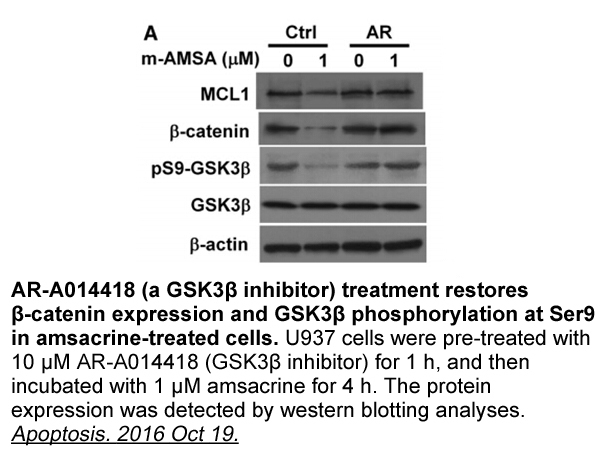 AR-A014418 is an overrated GSK-3 inhibitor according to results of an in vitro GSK-3β activity assay using carbon-11-labeled AR-A014418. 2. Glycogen synthase kinase 3-specific inhibitor AR-A014418 decreases neuropathic pain in mice: evidence for the mechanisms of action. Neuroscience. 2012 Dec 13;226:411-20. doi: 10.1016/j.neuroscience.2012.09.020. Epub 2012 Sep 19. AR-A014418 exhibited evidently anti-hyperalgesic effects in mice with neuropathic pain possibly through reducing proinflammatory cytokines and increasing serotonergic and catecholaminergic pathways, in which intraperitoneal administration of AR-A014418 inhibited PSNL-induced mechanical hyperalgesia and PSNL-induced cold hyperalgesia and prevented the increase of TNF-α and IL-1β without affecting IL-ra and IL-10. 3. AR-A014418 as a glycogen synthase kinase-3 inhibitor: Anti-apoptotic and therapeutic potential in experimental spinal cord injury. Neurocirugia (Astur). 2013 Jan;24(1):22-32. doi: 10.1016/j.neucir.2011.12.006. Epub 2012 Oct 30. 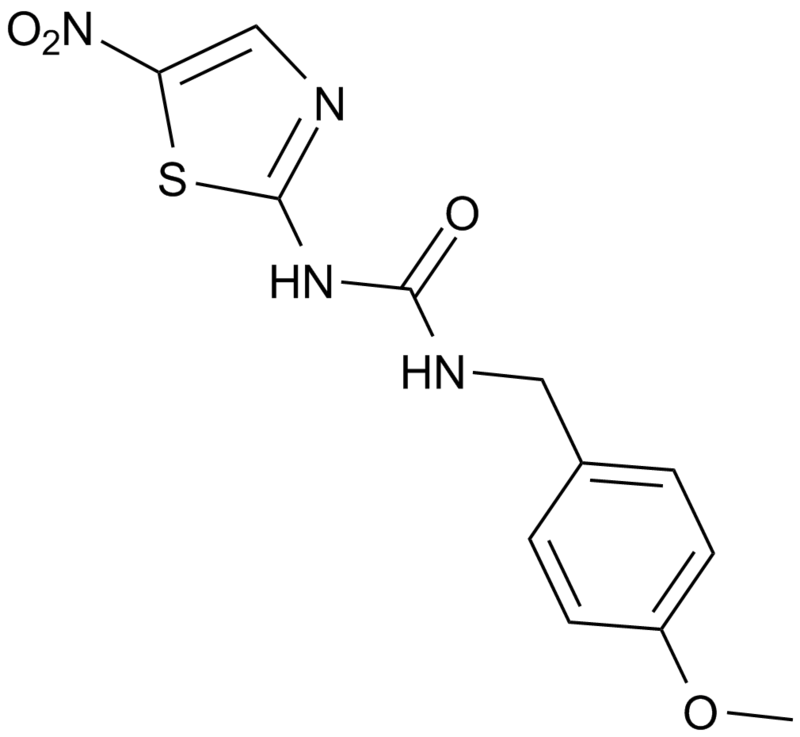 AR-A014418 is a highly selective inhibitor of GSK-3beata. 4. The antinociceptive effects of AR-A014418, a selective inhibitor of glycogen synthase kinase-3 beta, in mice. J Pain. 2011 Mar;12(3):315-22. doi: 10.1016/j.jpain.2010.06.007. Epub 2010 Aug 12. The treatment of AR-A014418 alone or with formalin inhibited nociception induced by various sources, in which formalin-induced licking was suppressed at the late phase or both phases by AR-A014418 alone of different dosages. The anti-nociceptive effect of AR-A014418 was thought to be induced by glutamatergic system through metabotropic and ionotropic (NMDA) receptors and the inhibition of the cytokine (TNF-α and IL-1β) signaling. 5. Glycogen synthase kinase-3beta (GSK-3beta) inhibitors AR-A014418 and B6B3O prevent human immunodeficiency virus-mediated neurotoxicity in primary human neurons. J Neurovirol. 2009 Sep;15(5-6):434-8. doi: 10.1080/13550280903168131. AR-A014418 failed to restore HIV-induced neurotoxicity but successfully reduced the activity of HIV-induced caspases 3 and 7. Glycogen synthase kinase 3 (GSK3) is a serine/threonine kinase that has been implicated in pathological conditions such as diabetes and Alzheimer’s disease (AD). AR-A014418 is a selective GSK-3 inhibitor. 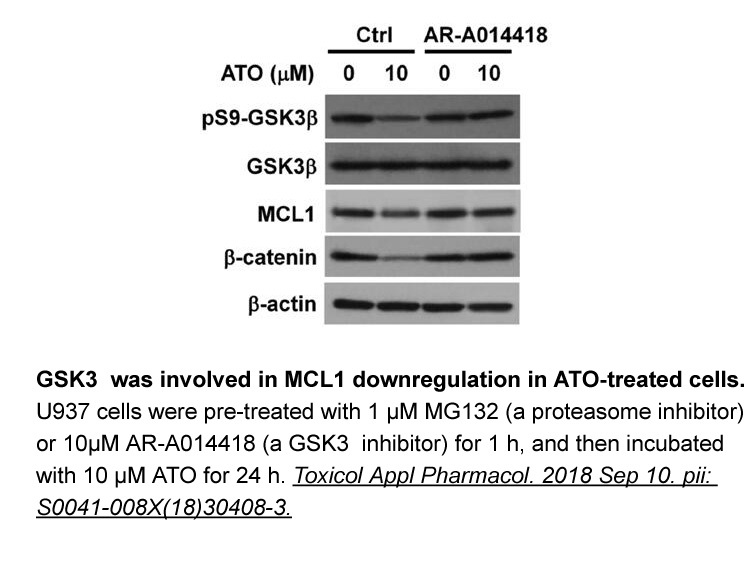 In vitro: ARA014418 acted as an ATP-competitive manner and did not significantly inhibit cdk2 or cdk5 or 26 other kinases demonstrating high specificity for GSK3. AR-A014418 inhibited tau phosphorylation at a GSK3-specific site (Ser-396) in cells stably expressing human four-repeat tau protein . In vivo: ARA014418 induced behavioural changes that were consistent with the effects of antidepressant drugs. Subacute intraperitoneal injections of AR-A014418 reduced immobility time in rats exposed to the forced swim test, which was a well-established model for antidepressant efficacy. Moreover, the specificity of this effect was supported by our finding that AR-A014418 decreased spontaneous as well as amphetamine-induced activity . Clinical trial: currently no clinical data were available. Bhat R, Xue Y, Berg S, Hellberg S, Orm M, Nilsson Y, Rades ter AC, Jerning E, Markgren PO, Borgeg rd T, Nyl f M, Giménez-Cassina A, Hernández F, Lucas JJ, Díaz-Nido J, Avila J. Structural insights and biological effects of glycogen synthase kinase 3-specific inhibitor AR-A014418. J Biol Chem. 2003;278(46):45937-45.